It would be difficult to find a jazz pianist who has touched the lives of as many jazz fans and fellow musicians as pianist Horace Silver. Year after year, decade after decade, he set the standard others were measured by. Horace Silver was born in Norwalk, CT on 9-2-1928 and died in New Rochelle, NY last summer on 6-18-2014. While in high school he played both tenor sax and piano. He scored a gig backing Stan Getz when Getz made an appearance in Hartford in 1950, and Getz liked what he heard enough that he hired Silver and the other two locals to be part of his permanent band in New York. In 1954, Silver won the DownBeat Magazine Critic’s Poll for New Star: Piano. Over the years that followed, Silver played with most of the “A-List” jazz players of the era, including Art Blakey, Terry Gibbs, Lou Donaldson, Oscar Pettiford, and others. Silver was also a prolific writer, penning many songs that went on to become part of the jazz pantheon: “Senor Blues”, “Doodlin'”, “Opus De Funk”, and “Blowin’ The Blues Away”, to name just a few. Horace Silver was just as prolific at recording albums as he was at writing songs. No one album could possibly capture the essence of his art, and the disk I want to tell you about this time certainly is not the exception to that. The biggest (and possibly only) drawback to this album is that it is short, both in the number of songs presented and overall length. As I like to point out in cases like this, the album more than makes up in quality for any perceived failing of quantity. All four songs were written by Silver himself. After a brief introduction by Willis Connover, “Live At Newport ’58” gets underway with a barn-burner, the then-new “Tippin'”. This one jumps up and flies off down the road from the first note, and doesn’t let up until the very end, over thirteen minutes later. About three minutes in, Smith takes a nice solo, ably supported by the rest. Then Silver and Taylor take a turn, with drummer Hayes keeping them company. Somewhere along the way this morphs into Silver’s piece as his piano becomes the dominant piece in this musical jigsaw puzzle and stays that way to the end. At this point Silver takes a moment to do the band intros after which he announces another then-new composition, “The Outlaw”. Owing to some poor editing, “The Outlaw” actually begins on the very end of the track for “Tippin'”. It’s still a great song, with Clark leading the way on his tenor sax. “The Outlaw” runs just under twelve minutes long, which gives the guys plenty of room to stretch their musical legs. About three minutes along, Smith and his trumpet step forward and make a fine time of it. A few minutes later Silver takes over and, as all this is going on at the front of the stage, Taylor and Hayes set a fine pace. And so it continues to the end, with the guys trading lead the way boys trade sports cards. The penultimate song on “Live At Newport ’58” is, arguably, one of the most famous songs Silver wrote, “Senor Blues.” Unfortunately, it, too, begins at the ending of the preceding song. This is a pretty serious failing on the part of Blue Note/EMI, and one can only hope it will be corrected eventually. “Senor Blues” opens with what has become Silver’s famous piano riff, instantly recognizable to most jazz aficionados. About a minute and a half in, Clark and his big tenor sax take the lead, followed shortly by Smith’s trumpet. It’s hard to think of a song that runs almost nine minutes being “short”, but with a running time of 8:45 this is the shortest song on the disk. The guys pack every second of it with great bop. The set closes with “Cool Eyes”. Like the others before it, this one jumps right up and hits the ground running. Clark’s sax takes the first solo and you can imagine his fingers a fleeting blur and they fly over the keys. Eventually he steps aside for Smith and then Silver takes over. If you listen carefully, you can almost hear a tantalizing hint of boogie-woogie in those lower register notes he so carefully throws in the mix every few seconds. At about seven minutes in, it’s just Silver and bassist Taylor, plus Hayes tickling the Hi-hat every so often. After a minute or so, Hayes gets a nice solo that manages to be engaging without becoming tedious. Then everyone returns and th-th-th-that’s all, folks! Despite its technical shortcomings I really love this album, and I think you will too. It will make a terrific addition to your personal playlist, for a Saturday or any other night! 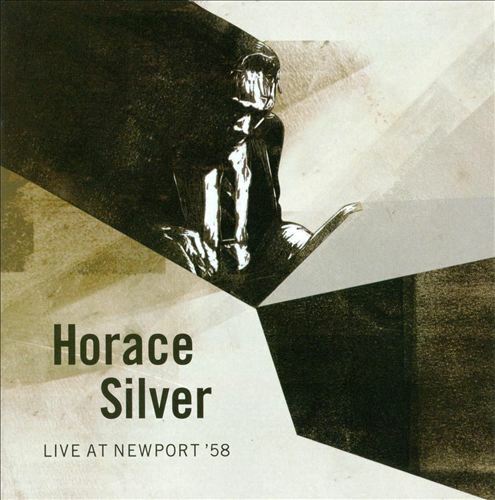 To learn more about Horace Silver and his music, visit http://www.horacesilver.com.